Sri Venkateswara Vedic University is a unique landmark in the Field of Veidc education, higher learning traditional impartation of knowledge and a salubrious mingling of the ancient and the modern studies. 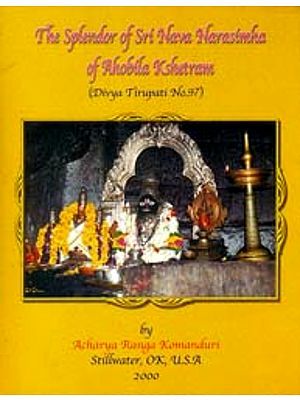 It was started under the benevolent tutelage of the Tirumala Tirupati Devasthanams, Tirupati and got recognition from the U.G.C. 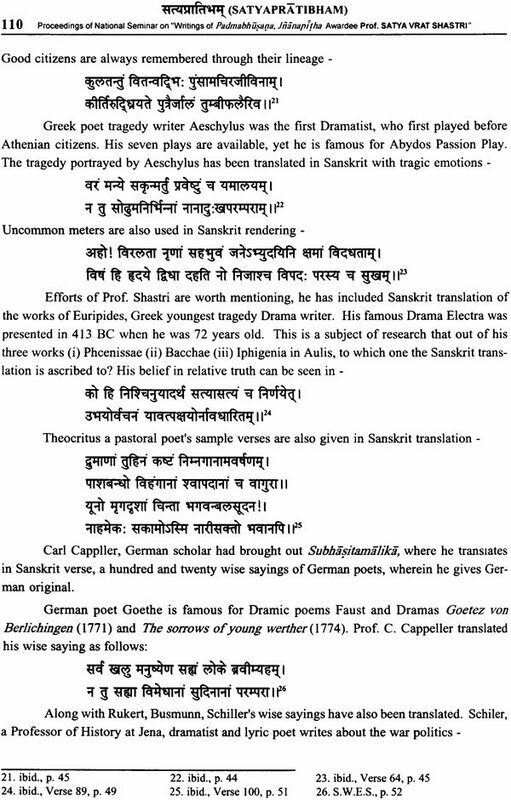 The Vedic University's history, though short as yet, has been highly impressive. 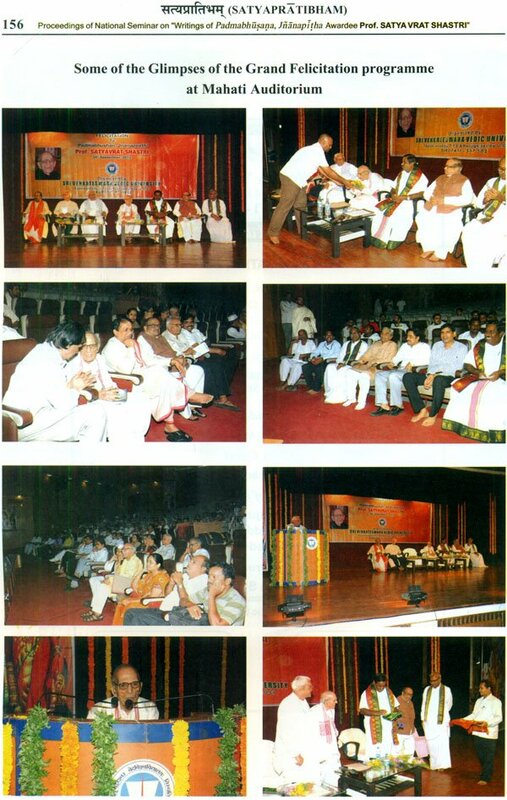 The vedic university was established at Tirupati (Andhra Pradesh) in July, 2006, through an ordinance, promulgated by His Excellency Shri Rameshwar Thakur, on the request of the Andhara Pradesh Cabinet. Since then this University has well advanced in all sphere of its motives with dazzling achievements. The courses that are taught at Sri Venkateswara Vedic University include – Vedas, Agamas, Paurohitya, Vedabhasya, Vedangas, Jyotisa, Puranetihasa, Ayurveda, Sahitya and Sastras. Subjects that have gained importance in the modern day lifestyle like English, Computer Sciences, Yoga, Astronomy, Environmental Sciences, Meteorology, Hydrology, Indigenous Science, Health Management, Dietetics, Vedic Mathematics, Vedic Architecture etc. all find a place in the University curriculum. The University is on the quest of linking the Science and the Vedas in terms of teaching and research for the benefit of the society. In addition to these, it is the main objective of the University to conduct Seminars, Conferences and Sastrartha-Sangosthis with a view to propagating Vedic knowledge in the society. 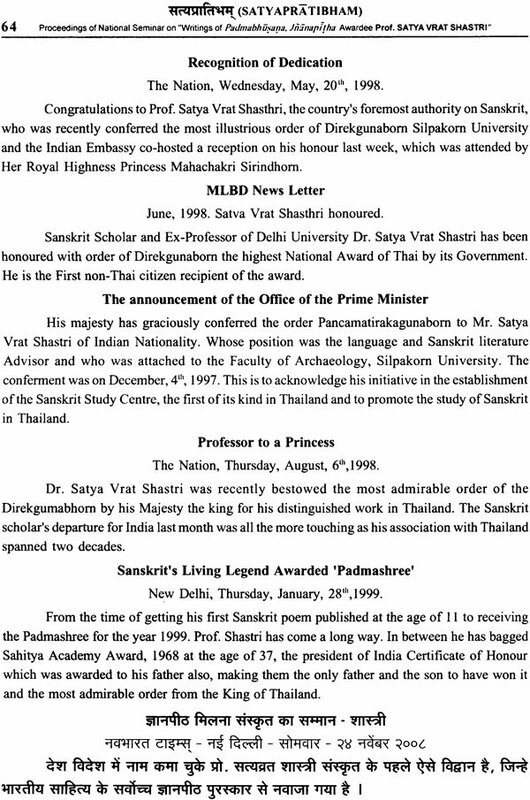 In this process the University has conducted a National Semminar on "Writings of 'Padmabhusana', 'Jnanapitha Awardee Prof. Satya Vrat Shastri" on 28th and 29th September, 2012 on the occasion of his Birthday. 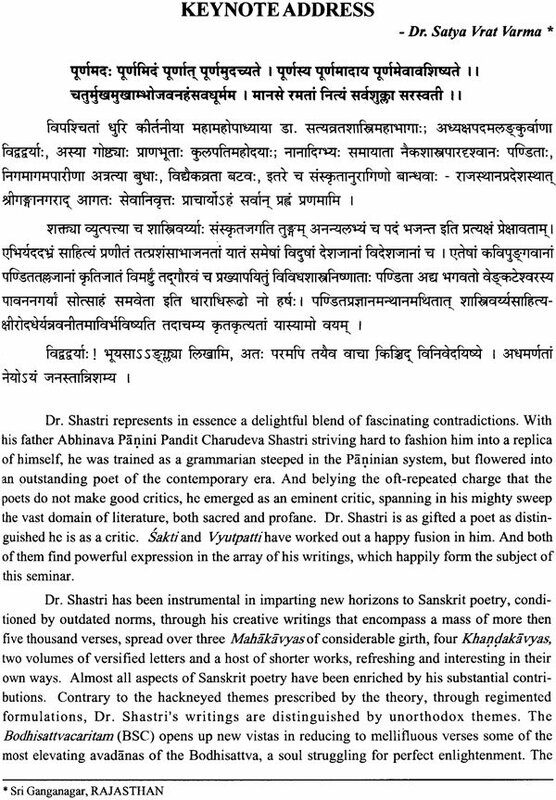 Prof. Shastri ha been instrumental in imparting new horizons to Sanskrit poetry, conditioned by outdated norms, his creative writings that encompass a mass of more then five thousand verses, spread over three Mahakavyas of considerabale girth, four Khandakavyas, two volumes of versified letters and a host of shorter works, refreshing and interesting in their own ways. Under the able guidance of its Vice-Chancellor Prof. Sannidhanam Sudardana Sarma, more than 24 noted scholars from all over India participated and scholarly papers on these themes were presented. 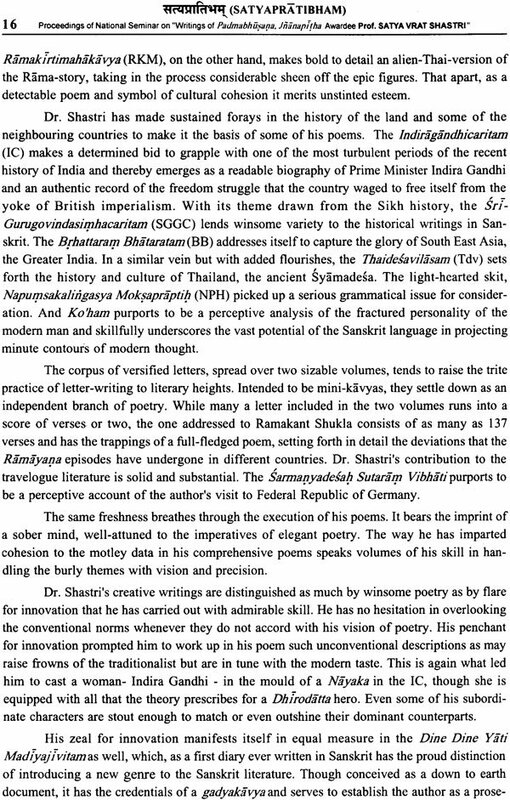 Different facets of his literary excellence have been thoroughly touched and presented in various dimensions by several scholars in their research papers. The lnaugural Session was started on 28th September, 2012 at 09-30 am in the Seminar hall of Rameshwaram. Dr. Satya Vrat Varma, Sri Ganganagar, Rajasthan, delivered the Keynote Address. 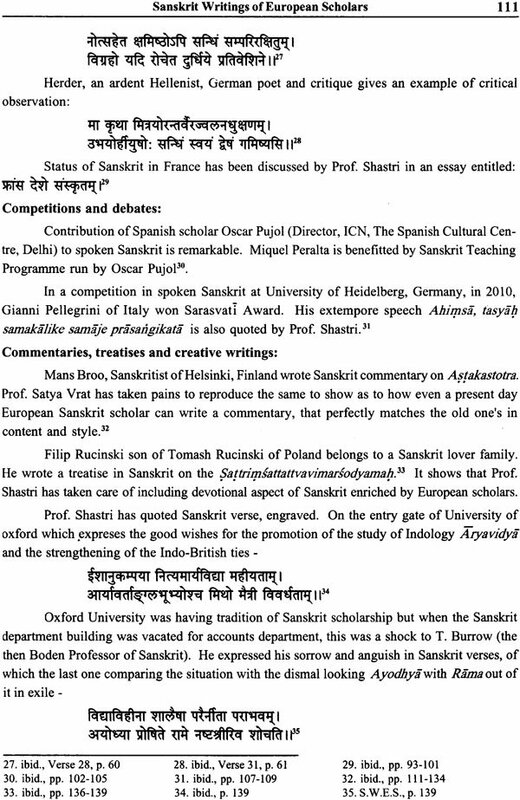 Prof. Sannidhanam Sudarsana Sarma, Vice-Chacellor, Sri Venkateswara Vedic University, delivered Presidential address. 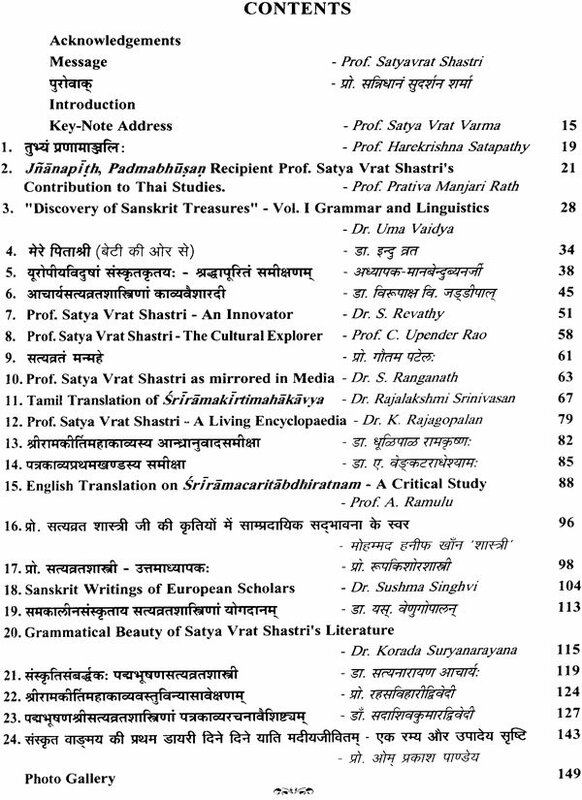 On this occasion the renowned academician Prof. Satya Vrat Shastri released the Abstract of the Proceedings. Welcome address was given by Dr. Manoj Kumar Mishra, Varsity Registar i/c, and the Vice Chancellors of various universities graced the occasion. On this occasion Prof. Satya Vrat Shastri was felicitated on his 83rd Vasanta (Dirthday) by the disciples of Vedic University. Dr. D. Ramakrishna's book entitled – "Sriramakirtimahakavyam- Telugu Translation" was ceremoniously released by Sri Shri Venkata Rami Reddy garu. Academic Sessions were held on 28th and 29th September, 2012 under the Chairmanship distinguished guests. We put our sincere thanks to all of them. 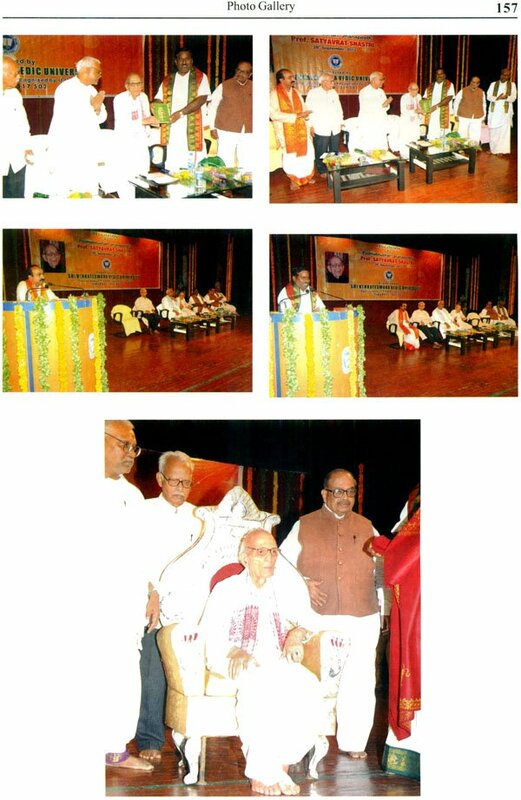 The Valedictory was organized on 29th September, 2012 in which Prof. Pankaj Chande, Vice-Chancellor, Kavikulaguru Kalidasa Sanskrit University, Nagpur, was the Chief Guest; Prof, Satya Vrat Shastri was the Guest of Honour; Prof. Sannidhanam Sudarsana Sarma, Vice-Chancellor, Shri Venkateswara Vedic university delivered the Presidential address and Sri N. Murali, Co-ordinator of the Seminar, Sri Venkateswara Vedic University submitted the report of the Seminar. Dr. Manoj Kumar Mishra, Registrar i/c; Dr. M. Ramkarishna Anjaneyulu, Assistant Registrar; Staff of S.V. Vedic University and also several dignitaries attended the programme.